View Request List | You currently have 0 item(s) in your Request List. 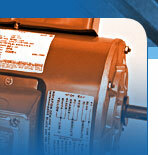 This site is geared to help you get the information you need about our motors. Create a list just by clicking on a motor. Add or subtract from your list easily. When it’s just the way you want it – with price quote requests or information requests – send it to us with a click. We’ll get back to you right away with the information you need to keep your business running smoothly.